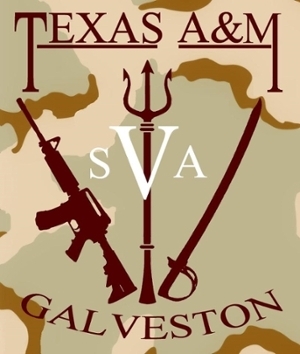 We are extremely excited that you have chosen to make Texas A&M Galveston your new home, and thank you for your brave service to our country. Balancing college with a busy work schedule, and adjusting to civilian life, can be a lot to manage all at once. One reason our chapter exists, is to aid new and current veterans in the transition process, and the overall college experience. 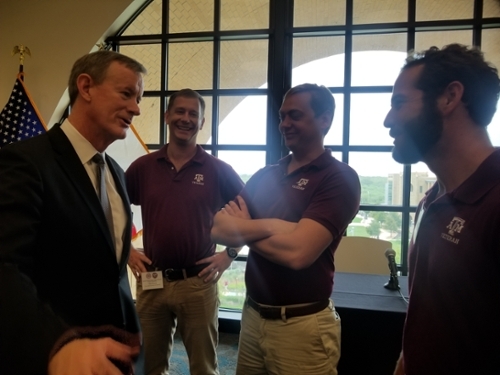 As many of our members represent the various backgrounds in the military climate, we seek to model excellence on and off campus, to serve as role models for the student body and to people in the community. With so veterans, we represent a substantial part of the TAMUG student life. The TAMUG-SVA has a fantastic network of adjunct personnel who are always nearby to lend a helping hand, as well as an extensive list of resources on and off campus. Additionally, the SVA participates in community events several times a year, by way of Big Event and community fund raising. Our membership meets every Wednesday at 11:30am in the Northen Banquet Room located in the Mary Moody Northen Student Center. Lunch provided. Students receiving veterans’ educational benefits should also apply for financial aid by submitting the Free Application for Federal Student Aid (FAFSA). Financial aid includes grants (need based free money), low interest student loans, and work-study (funding which pays a student’s wages as incentive for employment). For more information regarding financial aid, please visit www.tamug.edu/finaid.